Good news for all you Heroes of the Storm fans out there. A new map and two new characters will be added to the game some time in the next few months. These are in addition to the new monk character, Kharazim, that was announced during E3 in June. The new map is called Infernal Shrines and appears to be taking its visual cues from Diablo, with many of the same aesthetics that marked the hellish portions of the game and a suitably demonic summoned character called "The Punisher." In order to get this hellion on your side, your team will need to be the first to defeat 30 of the skeletons that get summoned around the map. Once you've sated his appetite for calcium, he'll gladly go about stomping enemy heroes and towers. 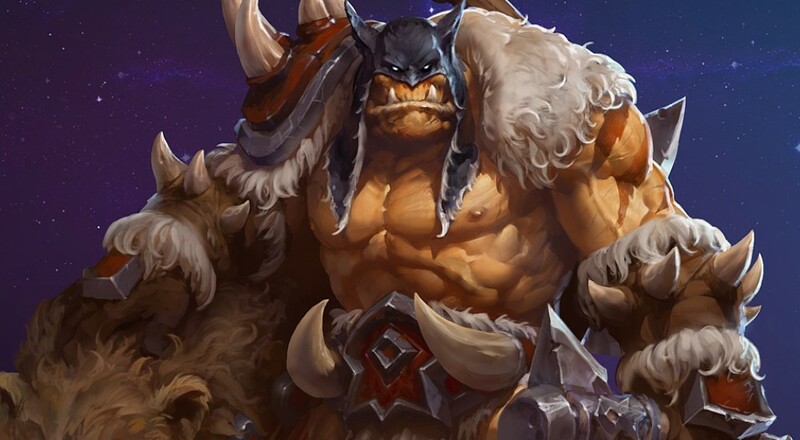 In addition to the new map, Blizzard revealed two new heroes: Rexxar, a famed warrior from Warcraft, and Artanis, a hero from Starcraft (I'm guessing he's from the new Legacy of the Void as I don't recall him from previous entries). True to his origins, Rexxar is a ranged warrior character with abilities to slow foes down, stun them, and then finish them off with his trusty bear companion, Misha. Artanis is a melee warrior with twin energy blades but little else was revealed. Maybe he's a Protoss that developed a fondness for human cuisine and is searching the galaxy for a good reuben. You can briefly see Rexxar in action in the video below, amidst all of the new skins and mounts that are put on display. No word as to when all of these things will be added to the game, but Blizzcon is just around the corner so I get the feeling we'll find out soon enough.